During the 80s, 90s, and 2000s, there was a large host of engines produced by Honda, most of which were four-cylinder engines. For their larger coupes and sedans, Honda wanted something more powerful and torquey than their small D-Series and B-Series engines. This is where the H-Series comes in. With 90s Hondas being one of the most popular tuner cars in history, many people swap engines like the H-Series into their D-Series powered Civics as an easy way to get way more power. This, of course, brings up a lot of questions about the different variations of the H-Series, specifications, and basic information that can otherwise be difficult to find. So, let’s dive on in. The Honda H-Series, as we mentioned, is Honda’s larger performance oriented engine offering. It shares much of its design with the F-Series of engines, in fact, the F20B is essentially just a destroyed H22 which Honda used for racing in the 2-liter class of international racing. Like many other Honda 4-cylinders at the time, the H-Series uses a fully aluminum design, helping save weight, maximum performance, and also improve efficiency. Helping further improve performance is Honda’s VTEC system which gives the H-Series great top end power and a relatively high redline. The result? Upwards of 217 horsepower depending on the variant. This is in line with many other Honda performance engines at the time which made near 100hp/liter or more. There are two main variants of the H-Series: H22 and H23. Both variants of sub-variants under them which feature slightly different specs and power ratings. H22 engines made earlier than 1996 feature a closed desk design, while engines made after that use an open deck design. It should be noted, most H23 engines were not really designed as performance engines and output around 160 horsepower. The standard H23 engine did not feature a VTEC cylinder head which explains the significant decrease in power. 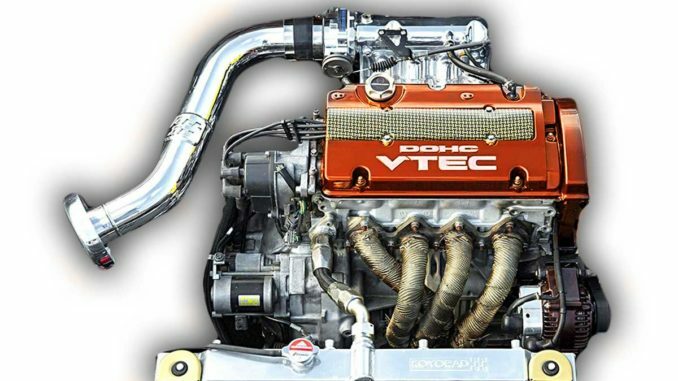 The only H23 that is performance oriented is the rare H23A which used the VTEC cylinder head of the H22A engine and output 197 horsepower and 163 lb-ft of torque. Interestingly enough, the H22 engine was only used in four different vehicles, all of which were larger passenger cars. The Prelude received the H-Series engine in late 1991 in the Japan market. The Accord received the H-Series engine in 1994. The Ascot was basically a CB accord and received the H-Series in 1992. The Rover 623 received the H-Series in 1994. Like many other Honda four cylinders at the time, the H-Series is pretty reliable engine assuming you maintain it correctly. There are, of course, some relatively common issues that many owners have reported online. The most common issues revolve around the timing belt; premature failure is a common issue for both the timing belt auto tensioner and the belt itself. Depending on how well you maintain the engine, burning oil and slug buildup may be an issue. The biggest problem with the H-Series is the FRM cylinder wall. Most cylinder walls are made of iron, but Honda decided to use FRM in the H-Series. FRM has much better heat transfer characteristics than iron, resulting in a much more efficient cooling system. Unfortunately, FRM wears more quickly than iron which is part of the oil burning issue. Furthermore, if you want to bore out your cylinder, it is not possible with FRM. On top of all that, most aftermarket pistons are not compatible with FRM cylinder walls, requiring them to be replaced with iron cylinder walls. Just like any other four-cylinder Honda engine, the H-Series has been tuned by thousands of enthusiasts all over there world> Everything from crazy naturally aspirated builds to forced induction race machine. Figuratively, everything has been done to the H-Series of engines. Popular modifications consist of simple bolt-ons like an intake, exhaust, throttle body, and a tune. Of course, these modifications can only do so much, which is why many owners eventually go the forced induction route, as that has far greater potential. The H-Series of engines is relatively popular to swap into the smaller Honda vehicles of the time such as the EK Civic. This is where the “H2B” system comes into play. H2B simple refers to using an H-Series engine with a B-Series transmission, thus making it pretty easy to install into a different chassis like the Civic.